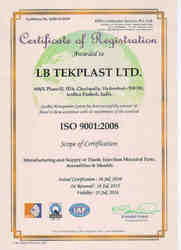 Established in the year 2003, we, LB Tekplast Ltd has been engaged in serving as manufacturing and supplying of plastic moulded components and moulds. We are well known manufacturer of Automatic Gate, Sliding Gate, Fitness Equipment, Hand Held Metal Detector. We are an inseparable part of our own Bhagyalaxmi Groups since 2004. Owing to our overall development and growth, we have been registered under ISI standards that again give us an edge over our clients. 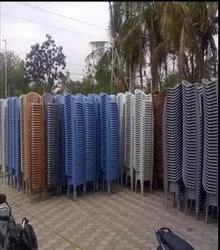 We are Distributor & Dealers of Massage Chair, Chair Massager, Foot Massager, Motorized Treadmill, Sofa Set Recliner, Recliner Chair, Recliner Sofa, Home Theatre Recliner Chair, Ground Search Metal Detectors, Metal Detectors, Metal Detector, Deep Search Metal Detector, Head Massager and Body Massager. We have a well equipped infrastructure which is well equipped with the latest machines and equipment that help us in producing good quality Massage Equipment. All these equipment are designed with utmost care & precision and hence deliver optimum performance. Our clients are well contented with our range of products and hence have referred us to the other organizations as well. We make sure to hold high reputation of the organization amidst our counterparts. Our domain expertise lies in manufacturing and supplying of the Massage Equipment that are manufactured using good quality aluminum and steel. We have a quality range of products that comprise Hand Held Massagers and Massage Chairs. These are liked by our clients spread across the nation. Infrastructure of an organization talks a lot about its status and development and therefore, we have invested huge capital to create one. 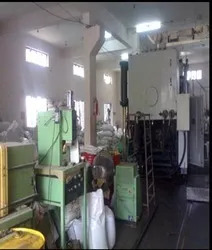 Manufacturing unit is the integral part of our organization and hence is well equipped with the advanced machines and equipment. 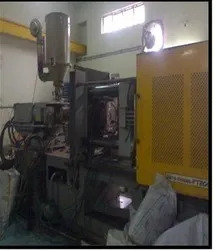 These machines are efficiently handled by our diligent team of professionals. These ultra advanced machines enables us to come up with the products as per set industry standards offered to our clients. These machines are lubricated and upgraded so as to ensure their proper working across the nation. A dexterous team can take the organization towards the path of success and we feel fortunate to have one. Our team manufactures Massage Equipment that are made using good quality components and hence provides utmost comfort to the clients. We make sure that our team works in tandem with the clients and fulfill their exact requirements. Further, we keep arranging workshops and training sessions so as to keep the clients updated with innovations and latest trends. Our experts can develop the product either from the samples or well-documented concept. We understand the value of quality, 'In time' delivery and client contentment and therefore, provide the n same to our clients. Our organization is capable of meeting the deadlines without compromising on the quality.